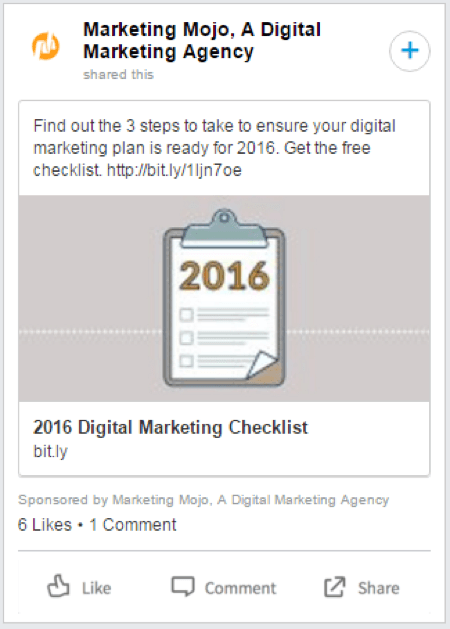 What do you need to know about LinkedIn Ads? 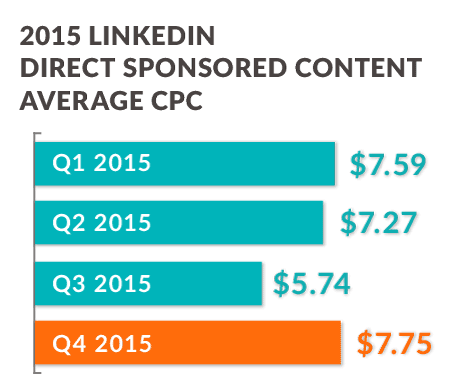 Our clients’ costs per click and click-through rates for LinkedIn Self-Serve and Direct Sponsored Content ads. How the winter holidays affected LinkedIn advertising performance. 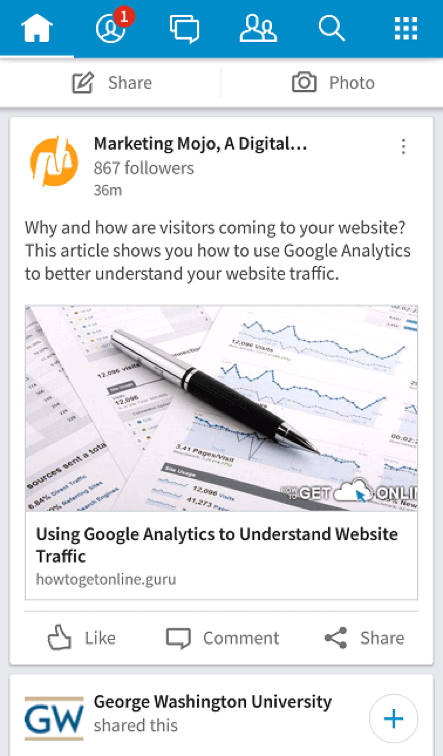 How LinkedIn’s new Voyager app impacts Direct Sponsored Content. Disparities between webinar and white paper campaigns in conversion rate and cost per conversion. What the future brings for mobile and desktop ads on LinkedIn. White Paper vs. Webinar? Or Does It Even Matter? We distribute advertising budgets among these ad channels based on the post-click performance that they deliver. LinkedIn has received a greater share of those budgets in 2015 from our B2B lead generation clients than at any point in our 10 year existence. As an example, one client recently increased its LinkedIn Ad spend by 308% and reduced its Google AdWords spend by 35% in 2015. The results were a 170% increase in conversion volume, a 124% improvement in conversion rate and a 46% decrease in conversion cost versus 2014 performance. These kinds of performance transformations were common for our B2B lead generation clients last year. In fact, we generated well over 5,000 leads for our clients in segments that are used to experiencing much smaller fractions of their yearly lead volume. LinkedIn’s "Self-Serve" advertising platform was the first ad platform that allows advertisers to control their advertising exposure on LinkedIn without a media buy or insertion order with LinkedIn Marketing Solutions. 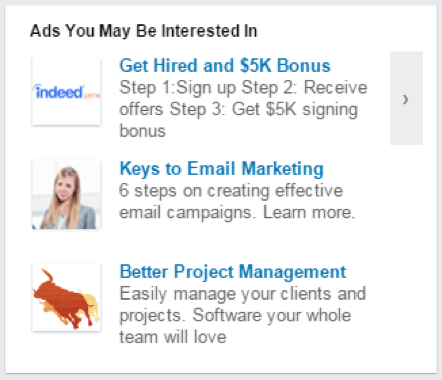 These ads appear on the desktop computer version of LinkedIn in the right-hand column. For years, they have consistently been a very solid ad platform, but they are still an evolving ad unit. For years, ad sales staff at LinkedIn Marketing Solutions has derogatively referred to these ads as "remnant inventory." However, this was not the case because each ad type on LinkedIn occupied completely different areas of the page and all of those ad slots for the most part received equal share of the available ad impressions. But, we have now noticed a layout change that seems to be the default setting on the desktop version of LinkedIn. The ad space formerly exclusively occupied by Self-Serve ads appears to be increasingly shared with banner ads or recruiting solution ads that require a media buy with LinkedIn Marketing Solutions. So why would LinkedIn go from serving two separate ad units on the same page that it was making money on for both versus having both ad units share ad impressions? The answer is likely the result of the way LinkedIn users are now using and accessing LinkedIn versus the way they accessed it in years past. 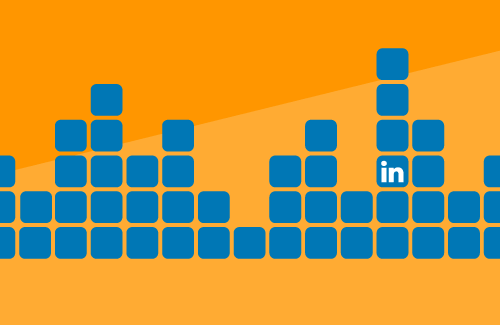 LinkedIn is now viewed by the majority of LinkedIn users on mobile devices like smartphones. As a result, the amount of available desktop impressions for banner ads has shrunk a great deal in a very short amount of time. LinkedIn reported that its display advertising revenues were down 30% year over year earlier in 2015 and also indicated that revenues from sponsored updates (especially on mobile devices) were offsetting those losses. The LinkedIn Marketing Solutions ad-buying model is based on purchase of guaranteed impressions. It is likely that the significantly reduced impression load also translated into significantly fewer click- throughs on those ad units. Advertisers don't want to merely buy ad views, they also want click-throughs, and by eliminating an additional ad choice on the page, they likely increased their click-through rate (CTR) on display banners. Thus, LinkedIn Self-Serve ads now truly are "remnant inventory." 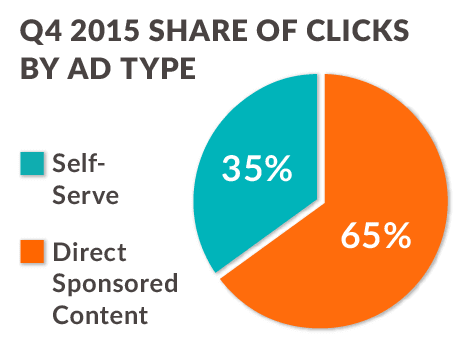 So, how much harder is it now to get Self-Serve ad impressions for your advertising dollars? We do not pay by the impression for our clients' ads. We strictly use cost-per-click bidding. But, a simple calculation of what we got for mostly the same client set year over year for Q4 in terms of impressions per ad dollar spent indicates that our clients' ads received 28% fewer ad impressions per dollar spent on Self-Serve ads, despite having a click-through rate that was 34% better than Q4 of 2014. Self-Serve ads, admittedly, get a very low CTR. Even representatives of LinkedIn have repeatedly told us that a CTR of 0.025% is average. Our clients' Q4 average Self-Serve ad CTR remained relatively flat versus Q3 of 2015, declining very slightly to 0.0349%. However, as previously mentioned, that percentage increased significantly over Q4 of 2014, which only averaged 0.0261%. Cost per click on LinkedIn is largely dependent on the competitiveness of the audience that you want to target and the availability of ad impressions. This was the case in Q4; during which, most of our ads targeted highest-level executives at very large companies. The holidays in Q4 also impact competition, in that advertisers are typically using more competitive bids to maximize ad-impression shares during the least active time of year on LinkedIn. As a result, our clients' CPCs increased 13% QoQ to an average CPC of $7.85. Many online advertisers would never consider advertising on an ad platform with such a high cost per click, but LinkedIn Ads demographic targeting features ensure quality traffic that is essentially "pre-qualified." The differences in conversion rate versus similar campaigns pushing the same call-to-action conversions on Google AdWords are significant. As an example, one of our clients was 651% more likely to convert a LinkedIn ad click than they were a Google AdWords click in 2015. Self-Serve ads continue to be an effective advertising tactic for B2B lead generation (particularly with the use of content marketing tactics). But, the future of these ads is in question because of the decline of available impressions on desktop computers and LinkedIn's push toward making them true "remnant ad" inventory to be shared with its display ad business. The other ad unit that LinkedIn offers advertisers without a media buy is Direct Sponsored Content (DSC). These ads differ from the Self-Serve ads in page location, size and diversity of devices on which they show. These ads show in LinkedIn's newsfeed on desktop computers, tablets and smartphones. Because of their "in-stream' nature of being within LinkedIn's newsfeed, they are not really at risk of being obstructed by ad-blocking technology. DSC in-stream ads do not get near the amount of ad impressions as Self-Serve ads, but their location, size and visibility heavily contributed to them being 1,069% more likely to be clicked than a LinkedIn Self-Serve ad for our clients in 2015. As a result of these stronger CTRs and reduced impressions from Self-Serve ads, the majority of ad clicks we received from LinkedIn Ads this quarter (65%) were from DSC. This is the largest disparity we have seen in the last 15 months, and we expect it to grow even more in favor of DSC ads as 2016 progresses. Our clients' average DSC CTR decreased by 22% (to 0.41%) in Q4, down from the record CTR levels we experienced in Q3. Our average CTR for the entirety of 2015 was 0.399%. In Q4 of 2015, our clients' average CPC on DSC was at its highest cost of the year at $7.75. Our overall CPC for the entirety of 2015 was $7.13. The same executive targeting pressures and holiday bidding pressures in Q4 that impacted Self-Serve ads also impacted DSC ads. Direct Sponsored Content is the only ad format on LinkedIn that displays on smartphones and tablet computers. LinkedIn recently announced in its Second Quarter 2015 Results report that 52% of its traffic is now from mobile devices and that 80% of its Sponsored Updates is viewed on mobile devices, meaning that 80% of Direct Sponsored Content ad impressions likely come from mobile devices. However, we have actually experienced a decline in the share of mobile traffic for the last three consecutive quarters. In Q1, our DSC sessions from mobile devices comprised 62% of our clients' traffic for that ad unit. In this quarter, our data trended to its lowest mobile traffic percentage in aggregate to date, with only 45% of total DSC clicks coming from mobile devices. Mobile click share has mattered a great deal for our clients in the past year because of the negative disparity in conversion its clicks received compared to desktop clicks. But, that disparity narrowed considerably in Q4, with only a -13% difference in conversion rate, whereas Q2 had a 47% deficit between mobile and desktop conversion rate. We do not believe that the launch of LinkedIn’s new mobile app, internally called "Project Voyager" by LinkedIn, is negatively impacting ad serving of DSC ads, and click-through rates do not appear any better or worse since its launch in December. But, it is currently impossible to measure mobile ad impressions and click-through rates with the settings of LinkedIn Ads. Either way, Voyager is here to stay and should be considered the "mobile" palate that LinkedIn advertisers need to adapt going forward. LinkedIn has previously stated that 80% of sponsored update ads impressions come from mobile, so performance of the "Voyager" mobile app is important. Our percentage of LinkedIn leads generated by content type has always been dominated by white papers and e-books on our clients' campaigns. But, in Q4, we did more webinar promo on than we have ever done in previous quarters. We have always known that white papers have stronger conversion metrics (on all of our online advertising platforms), but we never formally quantified the differences in a scientific way over a time period greater than a month's results. 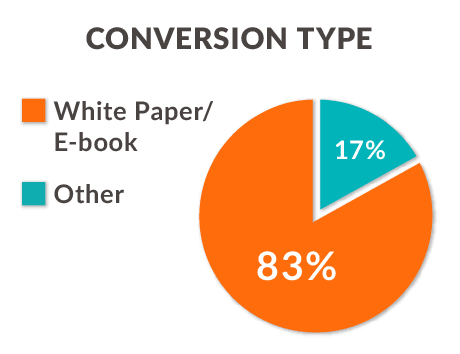 White papers were 49% more likely to convert than webinars. White papers were 47% more affordable in cost per conversion than webinars. Your results may vary. But, some consider a webinar lead as a higher quality lead than a white paper. If that is the case, then the higher conversion cost is worth it to some advertisers if the webinar lead is more likely to translate into an eventual sale. All that being said, the share of conversions for white papers did decline slightly, as we focused on more webinars in Q4, but they continued to be better than 80% of all of the conversions that we drove. We continue to celebrate LinkedIn Ads as the best platform to drive qualified B2B marketing leads with content marketing tactics. The ability to target advertising to the exact demographic audience that content marketing assets are created for separates it from the pack for both white papers and webinars. Webinars may not be as effective as white papers for lead genera on volume on LinkedIn, but we find that webinar advertising on LinkedIn with demographic targeting is exponentially more effective than search advertising or display advertising for delivering qualified webinar users. Additionally, LinkedIn advertising is great at "expanding the life" of webinars when “on-demand webinars” are utilized. The live webinar model is largely a product of the third-party platforms that host them. But, marketers should not look at webinars as short term one-and-done marketing tactics. Long term advertising of on-demand advertisers can take the time pressure out of the equation for webinar viewers that have scheduling conflicts for live webinar dates or just do not have a solid hour to dedicate to watching a webinar. We find that we can usually eclipse the live webinar audience size for on-demand webinars after just a few weeks of LinkedIn advertising and always end up surpassing the original audience size of the live event after about six weeks of advertising. Take Away #1: B2B lead generation advertisers can significantly improve their advertising performance for content marketing campaigns by "changing the channel" from less effective search and display advertising campaigns to custom demographically targeted campaigns on LinkedIn. Our LinkedIn advertising clients all reallocated their online marketing budgets to spend more on LinkedIn and less on search advertising, and they were rewarded with exponential lead growth at conversion costs lower than they have ever experienced with online marketing. 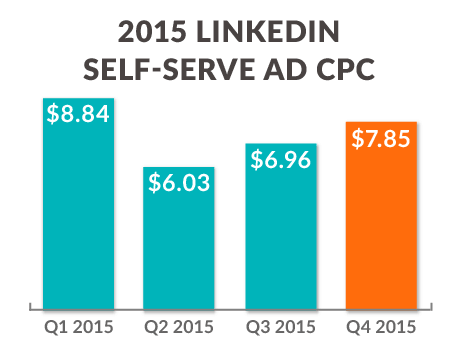 Take Away #2: The future of LinkedIn Self-Serve advertising is up in the air. Self-Serve ads truly are "remnant ad inventory" now because they share the same ad space and available ad impressions as LinkedIn Marketing Solutions "premium" display banners and LinkedIn Recruiting Solution ads. It is entirely possible that Self-Serve ads may only be getting about a third of the available desktop computer ad impressions, which are likely decreasing at an accelerated rate due to increased mobile app use by LinkedIn users. Take Away #3: LinkedIn's new mobile app (Project Voyager) has only been out for about a month and a half. It has a distinctly different look and feel from the previous flagship app, but its impact on advertisers is completely unknown at this point. All that being said, it is the platform that LinkedIn DSC advertisers need to focus on, because 80% of their DSC ad impressions are likely coming from it, according to LinkedIn. Take Away #4: White papers perform better than webinars in terms of conversion rate and conversion cost on LinkedIn. However, in our experience, conversion rates and conversion costs for webinar campaigns are strongest with LinkedIn advertising for our clients. On-demand webinar campaigns on LinkedIn also end up being more productive than highly publicized live webinar audiences, if given time.